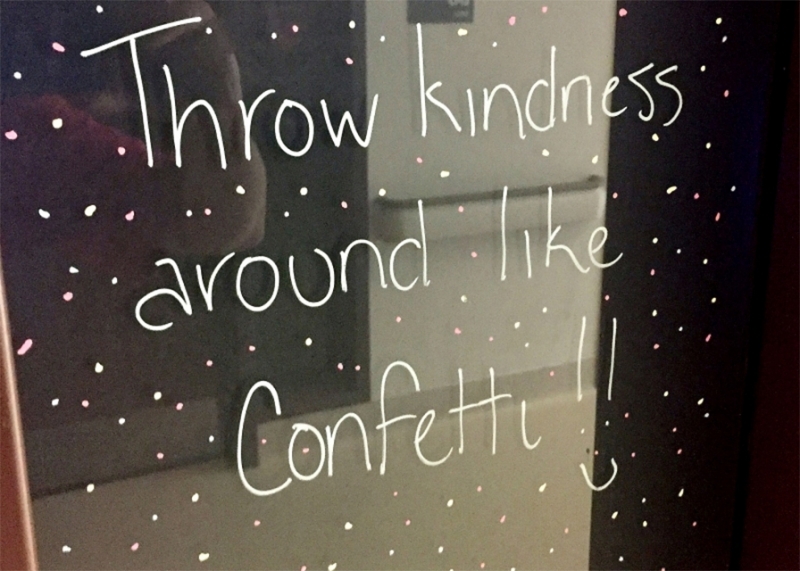 Walk through a hallway in our Mental Health and Addictions Program at our St. Catharines Site and you will notice inspirational messages on office doors. "Try to be a rainbow in someone’s cloud." The idea was hatched by Bill Andrews, a Recreation Therapist in our Mental Health program. 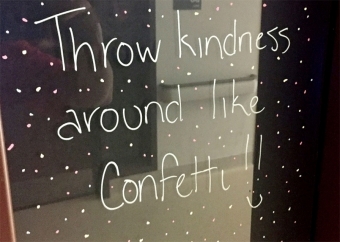 Bill was inspired after two of his Recreation Therapy colleagues, Sarah Kerrigan and Shelby MacDonald, started the Kindness Rocks Project at Niagara Health, a campaign to spread motivation by painting uplifting messages on rocks for unsuspecting recipients. It’s all part of our growing Workplace Acts of Kindness Challenge. "I thought, 'What else could we do?' " says Bill. "I thought it would be nice to lift people's spirits as they were walking down the hall." Bill surprised some of his colleagues by writing personalized inspirational messages on the windows of their office doors. Since then, others have done the same thing or updated the messages on their doors. Shelby and Sarah were thrilled to get the surprise message from Bill. And patients like them, too. "When they are walking through the hallways, our patients really take the time to appreciate the messages. They’ll say, 'Just wait a minute, I’m just reading the quotes,' " says Shelby. "It brings smiles to their faces," adds Sarah. "It was really nice that first time you walk into your office and you see the message."